WELCOME! TO DEXTER PERSONAL TRAINING & SMALL GROUP FITNESS. 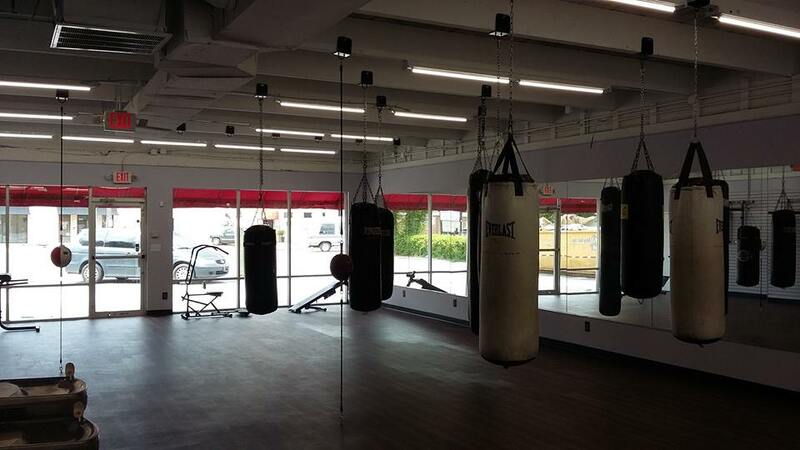 Mobile, Alabama’s…Total Body Makeover, Weight Loss, Strength Building, and Muscle Definition Fitness Center. Improve cardiovascular fitness, muscle strength, endurance, and flexibility while decreasing body fat and increasing muscle mass. As personal trainers in Mobile, we can spot gym newbies anywhere. They’re the guys who walk around the weight sets without actually stopping to lift anything; they’re the ladies who set recumbent bike to the wrong settings and struggle to get through a workout; they’re the folks at the back of the group fitness classes that don’t fully participate. It seems that most beginners, though they have great intentions, often feel that their inexperience is a justification for them being left on their own in gaining any steps in their new healthier lifestyle choice. We understand that beginning any new fitness routine or lifestyle change can be just a tad bit intimidating and want only to help guide beginners to keep them safe and healthy along that new path. A great way to get kick-started into a fitness routine that works for you is to join a group fitness class. Classes offer a bevy of benefits for all participants, regardless of age, experience or fitness level. Ready for a fun workout that feels like play? Begin your new exercise regimen with a class that makes working out fun and you’ll be more likely to stick with it. Instruction that keeps you going. Maximize your results with proper instruction meant to keep you free from injury and moving consistently towards your fitness goals. Meet up and workout with old friends as well as make some new ones. Exercising with a friend can amp up the fun factor, getting you through your workout quickly. A structured routine to stick to can help you succeed and meet your goals. Some of us benefit from having a scheduled routine which holds us accountable. with a twist of aerobics and boxing. It’s my goal to make the workout process exciting and energetic so that you actually look forward to the hard work ahead of you. When you know you’re in a safe environment where you can have fun pushing yourself, then you are more likely to work hard & reach your goals. If you are looking to work towards your physical goals in an encouraging, personal environment, then Dexter Sutton Small Group Fitness is right for you. I offer calorie-burning boxing workouts designed to work your whole body in a fun, invigorating and comprehensive class. You might think that giving your body the proper nutrition just means eating well, but there’s more to nutrition than just food. Using nutritional supplements specifically designed for active people, you can give your body the nutrients it needs before, after and during your workouts. I would like to encourage everyone—no matter what age, weight, or fitness background—to strive for ultimate physical fitness. Let’s stay around as long as we can for our families and friends. Let’s treat our bodies right so we can enjoy life to the fullest. Let’s work together for the satisfaction of reaching, and maybe even exceeding, our fitness goals. Hi, I’m Dexter Sutton and I’d like to help you get into the best physical condition of your life. I have a passion for training and fitness. Dexter Sutton personal trainer since 2008. Option philosophia consequuntur vim ut, sit audire definitiones. © 2016 WordPressJunkies. All Rights Reserved.